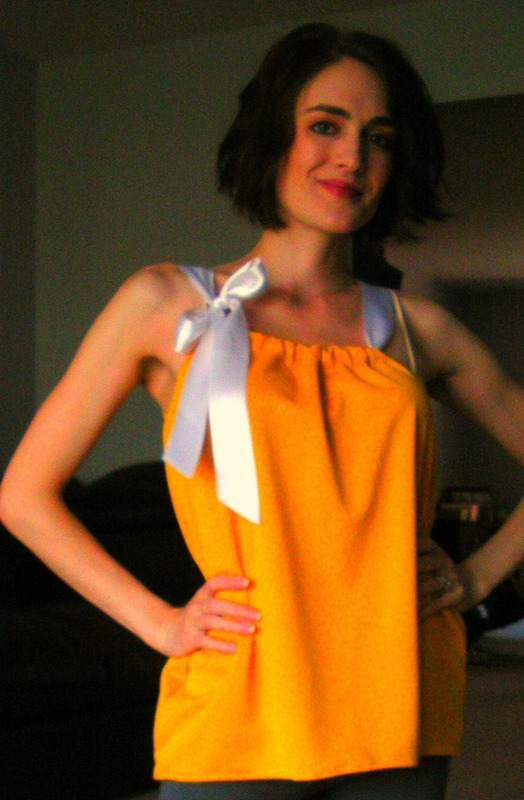 la vie DIY: DIY Anthropologie shirt- NO pattern! DIY Anthropologie shirt- NO pattern! I saw a knockoff of this shirt floating around, but the instructions were wrong. They were super simple, easier than mine even, but they wouldn't lay right if someone were to actually do them. I decided to right the wrong and make my own! 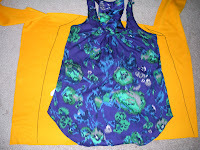 I used the extra fabric from the dress that will be featured Friday (insanely easy...) because it's what I had on hand. If you *really* want this shirt to be gorgeous, I suggest that you use chiffon or jersey, something more fluid that lays nicely. This is a much stiffer fabric. It's also a bit shorter than I'd like, but again that's because it was remnant fabric. 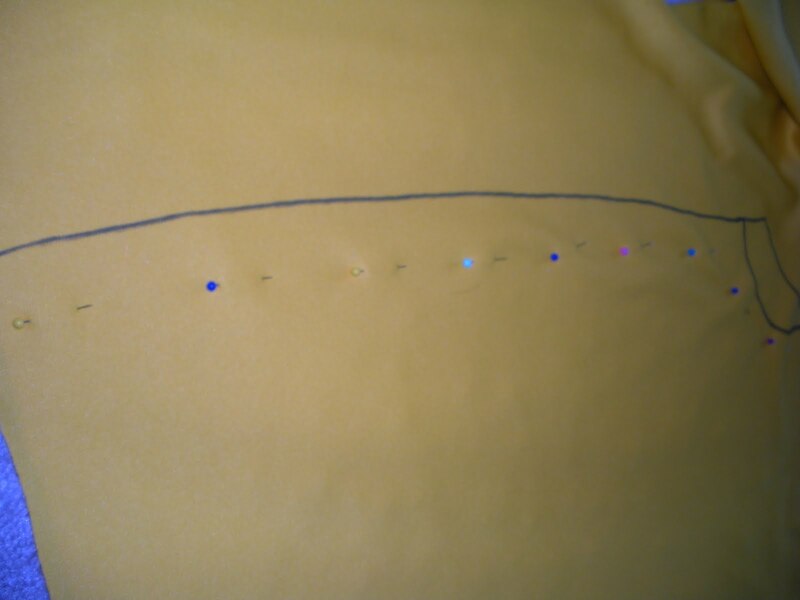 Pin around the entire thing from the INSIDE of where you traced about an inch. Once it's all pinned, cut along your line. Pin your tubing. 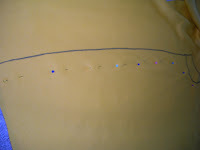 In order to lace the ribbon through the top, you'll need to create a tube at the top of the front and back. Simply fold over the top 1.5 inches and pin in place (fold it so that the top end touches the 'ugly/traced' side where you'll do all of the hemming. You should leave more room than I had, add an extra 1.5 inches straight up at the top. I had to make it work since I had a limited amount of fabric left, but you have the opportunity to make it perfect! If the directions seem unclear, reference the picture. You can see the two tubes fold away from each other and the fabric is pinned down on to the ugly side, the side that will be inside when you've finished sewing and turn the shirt right side out. It may be more helpful once you start sewing to move the pins higher on the tubing so that you can sew as close to the bottom as possible. You want room in your tube for the ribbon to go through easily. 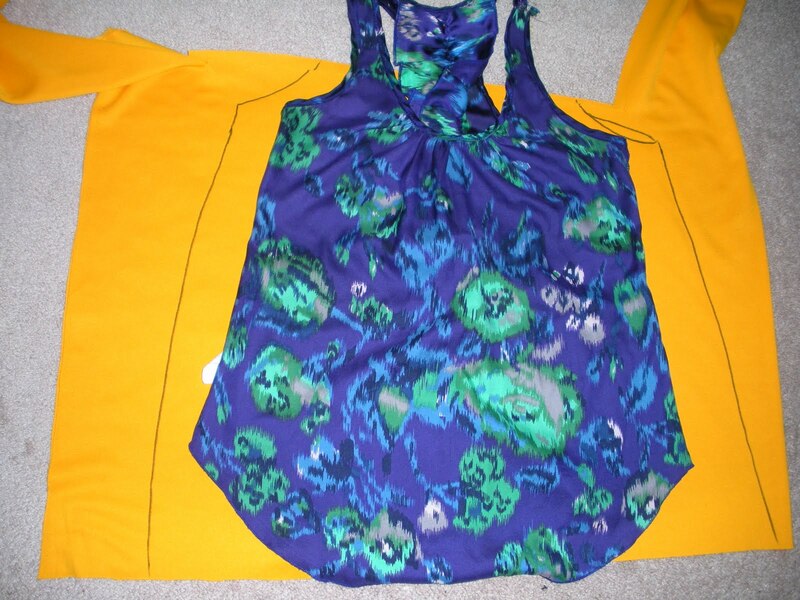 Stitch the tubes in place, then hem your underarms and the bottom of the shirt. After that, stitch the sides up. 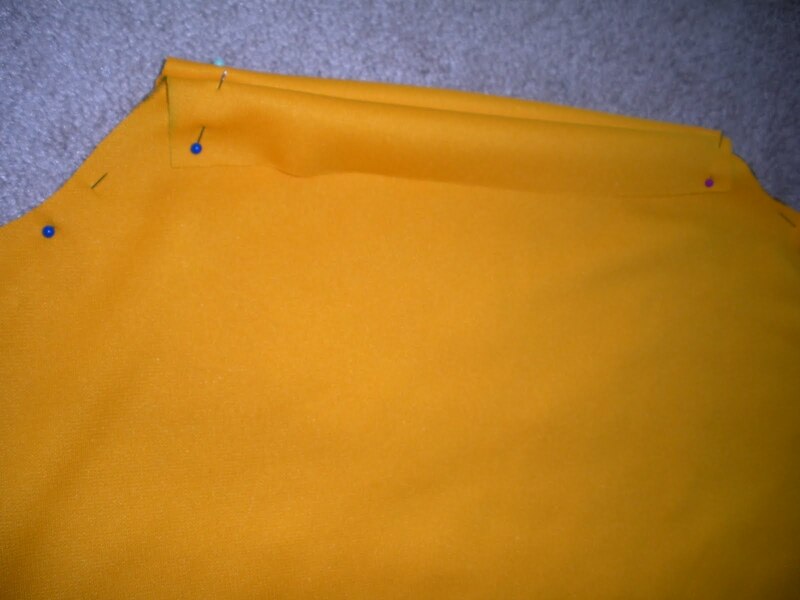 I didn't hem the underarms, instead I used Fray Check. Normally I would, but because I had to scrimp on the fabric toward the top, I didn't think it would look good. The type of fabric I used made it easy to do that, but if you use the chiffon or jersey, you'll need to hem *everything*. Push your ribbon through both sides of the tube. It will help to use a closed pen or something else to push the ribbon through. Connect the ribbon on the front (either side), knot and tie a pretty bow! Also, use clear nail polish or Fray Check on the edges of your ribbon so that it stays pretty. 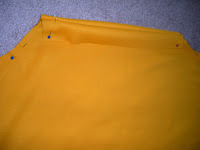 Lastly, you have the option of sewing tubing from excess fabric to use as ribbon. This would be really pretty and make the shirt look more expensive, but I wanted to use my excess fabric for another project. If you want to do that, just fold over a long strip of fabric (or connect two to make a really long strip) and then sew along the sides. Push them inside out and stitch up the ends. I can't wait to try this again with a different fabric. It would be great to make and give these away as well. The fit of the shirt allows for a lot of variance in size. That's all from me today... have a wonderfully warm afternoon! I think I saw the other version and was wondering how they made that fit around the arms as well. Thanks for this tutorial as I've been wanting to make one for my daughter and I for a while now. Maybe even turn hers into a dress :) Have a wonderful day!! A dress would be ADORABLE! you could make one into a dress for yourself as well and belt it ;) *you* have a wonderful day and thanks for reading! love your diys! this one reminds me of the ol' pillow case dress for kids!... totally want a shirt for m self now!